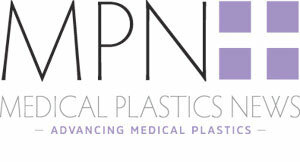 Antimicrobial plastics reduce the accumulation and transmission of bacteria. Florian Brandes, European product manager at Biesterfeld, said: "Together with Heroc, we are offering a biocide-free solution without nanoparticles. “The physical mode of action provides for a surface free of germs and bacteria. This is an optimal alternative to chemical biocides, silver and heavy metals." Due to a lack of migration of the material constituents, the batch has been proven to be neither toxic, zytotoxic, nor allergenic. It also prevents the transmission of resistances and reduces the risk of infection, according to Biesterfeld. In order to make products antimicrobial, additives are introduced into raw material. The essential properties of the raw material remain unchanged. This means that the manufacturing conditions are largely unaffected. In conjunction with its partner, Heroc, Biesterfeld said it offers a complete service on its antimicrobial products. Included in this is the development of individual applications and Masterbatches and laboratory testing.